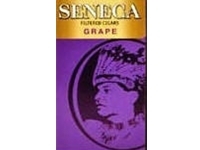 I've tried the peach, vanilla and wildberry cigars from Seneca but so far Grape has gone over the best for me and for friends I've shared them with. I've also found Seneca's to be smoother than Cheyenne cigars. I will be buying these consistantly now with orders.